Professor Sanders specializes in the fields of economics and public policy. His research focuses specifically on four different lines of study, which include the trends of race and gender in relation to earnings among the highly educated; the effects of extreme economic changes on workers and families; the performance of gay and lesbian families within the economy; and the economic consequences of teenage childbearing. He has received numerous grants for his research, including several from the National Institute of Child Health and Development, and also from the National Science Foundation, the Appalachian Regional Commission, and the Research Initiation Fund. He has published his research writings extensively, contributing his work to numerous leading academic journals for over two decades. Some of his refereed articles include, “Gender Wage Differences Among the Highly Educated” with D. Black, A. Haviland, and L. Taylor; “The Economics of Lesbian and Gay Families” with D. Black and L. Taylor; “Empirical Regularities Across Cultures: The Effect of Children on Women’s Work” with H.O. Duleep; and “A Simulation Estimator for Sequential Models of Discrete Choice” with V.J. Hotz, R. Miller, and J. Smith. 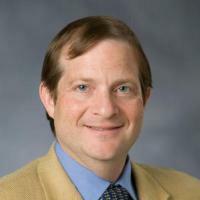 Professor Sanders is currently conducting research funded by a grant awarded by the Institute of Child Health and Development on, “The Role of Firms in Immigrant Assimilation and Labor Market Adjustment.” He is also completing work concerning a proposal for the infrastructure of the Maryland Population Research Center.